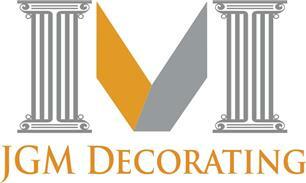 JGM Decorating - Carpenter, Painter/Decorator, Plasterer based in London, Greater London. We have been successful designers, builders and decorators for 15 years offering great design, excellent quality of work and professionalism in everything we do. Whatever you need just ask. No job is too small and we are always happy to give a quote before we start. We have competitive rates and provide the same service level and guarantees whether we are changing a washer or designing and building an entire interior.